According to a 2013 survey by the Employee Benefit Research Institute, researchers say that the current generation reaching retirement was told that retirement would be wildly rewarding. They believed they would only have to work until age 65, retire happy and live in financial comfort. However, the reality of shortfalls in financial planning has them thinking otherwise. Researchers said that 65 percent of people nearing retirement age plan to work past the age of 65 or just not retire. More than 50 percent said they would definitely continue working after they retire. Researchers wanted to see how employers felt about their older workers planning to continue working past the age of 65. As a rule, most of them were supportive of their older employees’ choices to continue working. Almost 90 percent of the employers interviewed said they were supportive of workers staying in the workforce past the age of 65 or after they retire. Almost 50 percent said they strongly agreed, and nearly 40 percent said they somewhat agreed. Be sure to read our page on ways to help employees understand retirement! 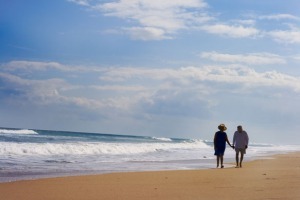 Reaching Retirement Age – plan to work in retirement? For the majority of the generation reaching retirement age, retiring is no longer seen as a point in time where a person just stops working completely. It is now viewed as a transition or phase into lighter work. For some, it may be a transition into a different type of work. Researchers found that people who were nearing retirement had different expectations than what the reality of retiring was. Only 50 percent of the employers surveyed said they had systems in place to ease the shift of full-time work into part-time work. In addition to this, only about 20 percent of workers said they believed their employers had such systems in place. With so many people planning to work past the age of 65 today, there are fears that age discrimination will be an issue. Researchers said that nearly 90 percent of employers saw their older workers as valuable assets for training and mentoring other workers. Another 85 percent said they thought their workers were an important part of institutional knowledge, and about 80 percent said their older workers provided more wisdom, knowledge and experience in life. – Develop a transition plan with phases, which will help retirees ease into retirement. – Make sure the retirement transition plan is effective and useful to the retiree. – Provide assistance for the financial aspect of transitioning into retirement. – Educate workers about retirement benefits through the government and workplace. – Provide good workplace benefits to supplement government benefits. – Maximize tax incentives for workers nearing retirement. – Build and promote an age-friendly work environment. Overall, the idea for employers to remember is that their aging workers are valuable. Use their knowledge and wisdom while they are still there, but reward them and show appreciation with retirement benefits they can use.